Bring a breath of casual comfort into your bedroom with this simple bed design from the Madison collection. A low-profile styling pairs with a rich espresso wood finish for a warm and inviting feeling. Chamfered bed legs give the piece a pop of updated elegance. Available in queen, king, and California king sizes. The Madison King Low Profile Bed by Acme Furniture at Michael's Furniture Warehouse in the San Fernando & Los Angeles area. Product availability may vary. Contact us for the most current availability on this product. The Madison casual bedroom collection features a blend of simple panel designs with updated details and refined styling. 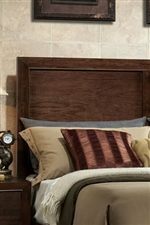 A deep espresso wood finish is seen throughout the pieces of the collection and creates a depth and warmth that is welcoming and sophisticated. Visually-catching features, like chamfered legs and espresso knob hardware give the designs a pop of simple elegance. Generous drawer space adds lasting functionality to this already stylish set by providing ample storage for clothing, blankets, and accessories. Make any bedroom space into a spot of casual comfort with the Madison bedroom collection. The Madison collection is a great option if you are looking for Casual furniture in the San Fernando & Los Angeles area. 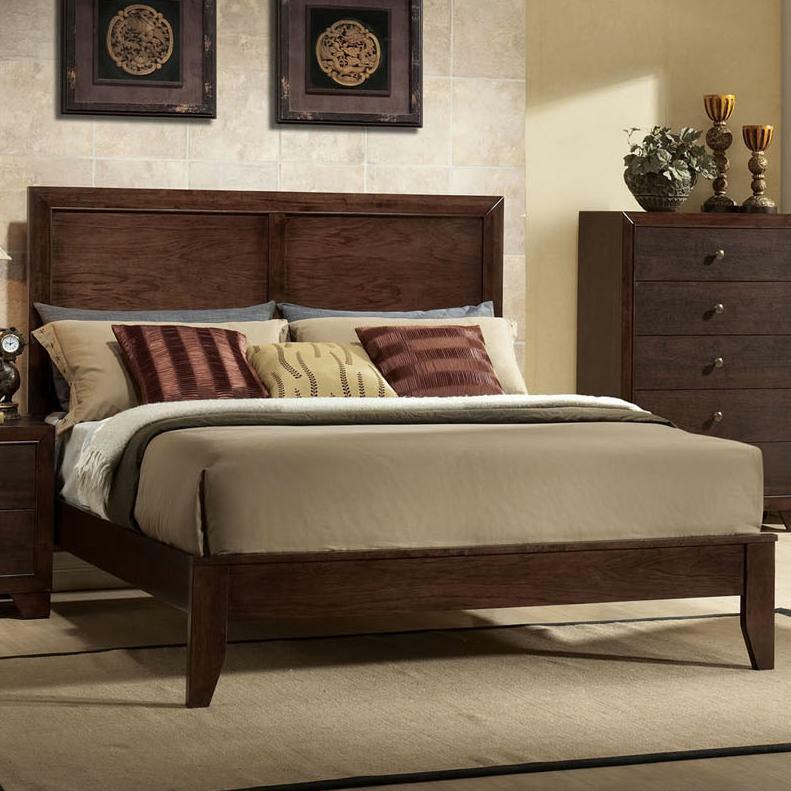 Browse other items in the Madison collection from Michael's Furniture Warehouse in the San Fernando & Los Angeles area.